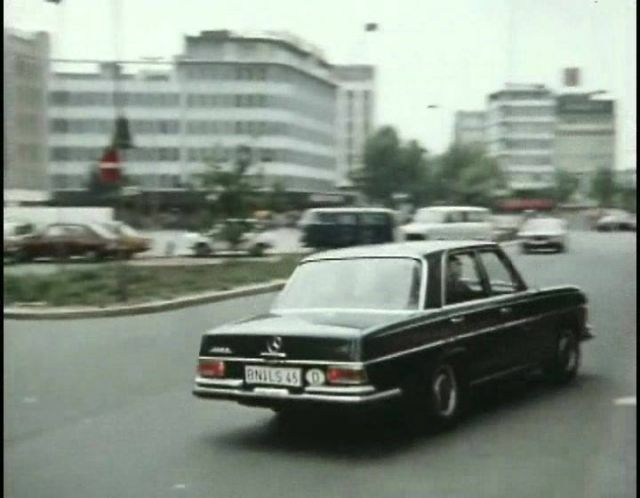 IMCDb.org: 1966 Mercedes-Benz 250 S [W108] in "Dialog, 1977"
1966-72 250/280 SE (W 108). It has the earlier (pre 1968) wheel version, and the shorter body, which means this should be a 250. If I can read the badge correctly it says three digits and a letter, or 250 S.
That is a 1965-67 Mercedes-Benz 250 S [W108].